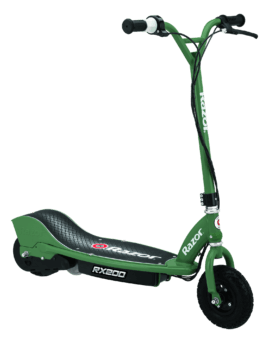 At 11 amazing miles per hour, with a twist-grip acceleration control, and a kick-start, high-torque hub-driven motor, the Power Core E100 is a maintenance free, energy efficient way to take your fun even farther. 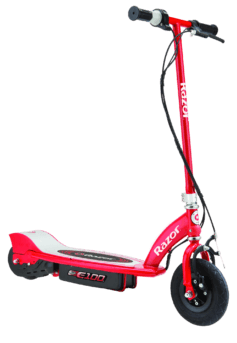 Love our RazorThe scooter is perfect for our 7 year old twins. The scooters are easy to ride and great for cruising around the neighborhood. The motor has pretty decent pop and will be strong enough as they grow. I even rode it up and down the street and the acceleration was impressive. Awesome!! !I had an E-100 when I was growing up and loved it! 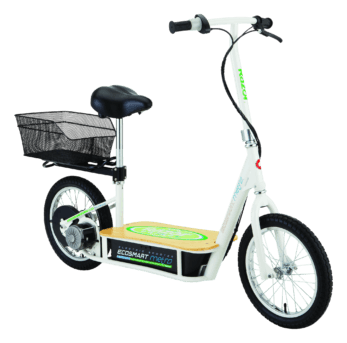 Its super fun to ride around, and very convenient in terms of storage. My girlfriend recently bought one for her sister, and she cant recommend it enough! Long ride time!I am an active father of 2 who enjoys going for an evening run. 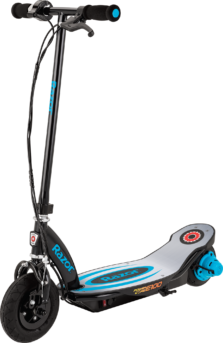 My kids are now able to "run with dad" now that they each have a scooter to ride. Super easy set up! Thanks Razor!